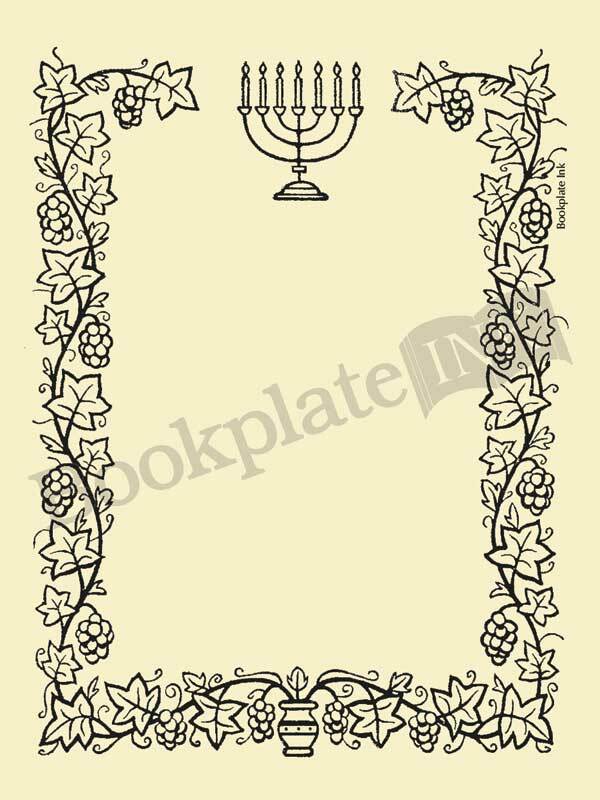 This Judaic border design with a menorah at the top, has plenty of room for extra lines of text. 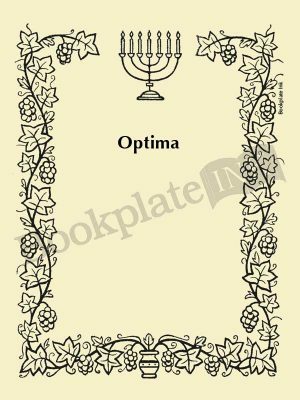 It has been popular with synagogues, Jewish libraries, and as bar mitzvah and bat mitzvah favors. The text can be placed at any height on the design and the menorah can be removed or placed with a Star of David, upon request.